Finding a place to park your sweet ride everyday near your home or work can sometimes be tough, especially in larger cities where there is less real estate in the first place. 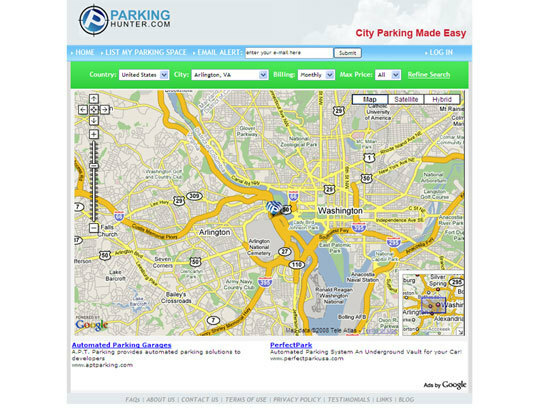 Most condos and homes have parking included but some do not and that is when your hunt for parking begins. ParkingHunter, a Toronto-based startup, looks to help by aggregating available parking spot listings into one search-able place. The goal is to connect car-less home owners that have empty driveways, with motorists who want affordable parking. ParkingHunter currently has over 2,500 parking spots listed and plots them on a Google Map to make it easier to determine their exact location. Future plans are being developed to allow hourly parking and mobile reservations as well which seem to look to line up with what another parking site, ParkWhiz, is currently doing. ParkWhiz, a Chicago-based startup that demoed at TECH cocktail 4, offers similar hourly services and validated its offering by winning the Navteq LBS Challenge last year.